This card says it all. The birth of baby Jesus. The foretelling of the Messiah. The birth in a lowly manger. A young mom who was willing to be part of God's big plan. A young father who obeyed the Lord even when it didn't make sense. Even when following God's plan wasn't politically correct, even all of those years ago. Of a Lord who gave up everything to come here to give up even more. I always leave you with a video or two on Christmas day that tells the story of Christmas. Today I have two for you that I think you will enjoy and will help you reflect on the true meaning of Christmas. What really struck me as I watched this video was the Wise Men's response to the Baby Jesus. They were looking for a star to lead them. With faith they set out on a very long journey. They gave up everything they were doing at the time to go worship the Christ. They left their home, their families, their friends, their comfort because it was so important for them to see this baby that had been prophesied. And when they got there they found a baby, a tired mom and a new dad. They looked just like any other family. Yet, by faith, they offered gifts and they worshiped the baby boy. The Christ. They didn't question if this WAS the Christ. They knew. How simple faith is. How simple the gift of salvation. It's Christmas Eve! Merry Christmas! I hope you are able to celebrate with family and friends the wonderful birth of our Savior Jesus Christ! This is a complete, new, never been used set of 48 Clean Color Real Brush Zig Markers. Colors included in the set are listed at the end of the post. I'm selling them for $100 which includes shipping (to US residents). 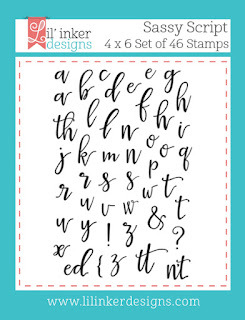 I checked the price on Simon Says Stamp and a set of 48 is listed for $167.04 and on Ellen Hutson they are $167.10. So this price is a bargain and gives you 40% off retail price!!! First person to contact me gets them...and I can ship them out on Friday, December 23rd if you contact me today! I thought I'd also share some of the cards that I've made using my original set of 48 markers on! Contact me via the email "contact me" link on the right hand side of my blog! 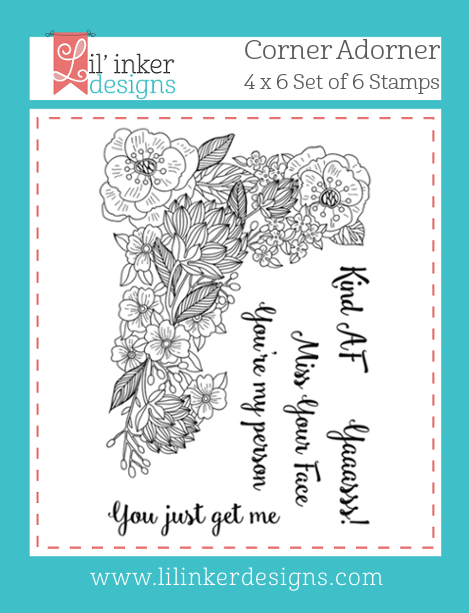 And, if you're interested in other stamp sets I have for sale, you can look HERE. Hey everyone! 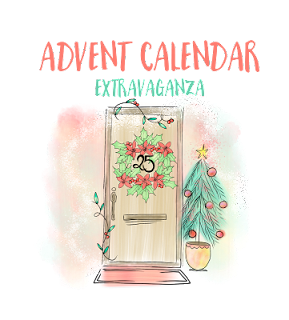 Today Lil' Inker Designs is one of the sponsors for the Advent Calendar Extravaganza and Laura asked our team to play along. I wanted to share a fun card today! If you haven't visited Taheerah's blog yet, be sure to do so! There's a prize involved and you'll get to see more stops in her Advent Extravaganza! Thanks for stopping by today! 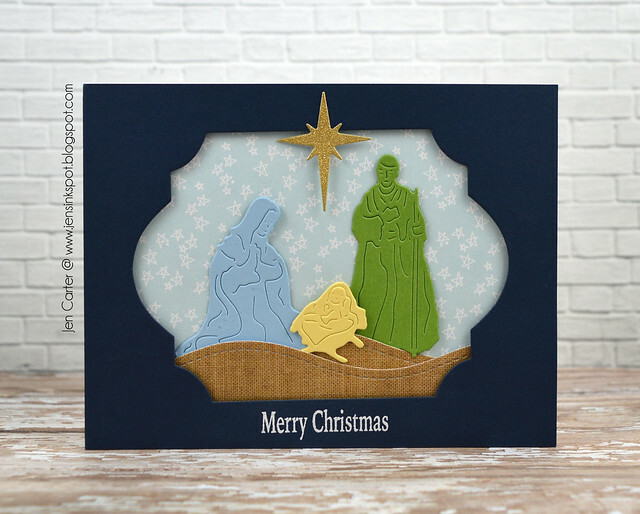 For today's card I wanted to share another Christmas card made using Frantic Stamper dies. 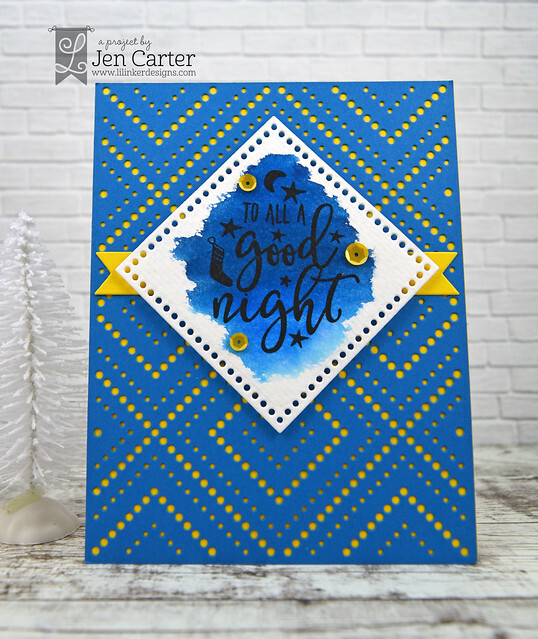 I enjoyed using this layering Christmas Tree die. I started with a green cardstock base and then added a layer of polka dotted vellum for the "snow". I then added several ornaments and the angel topper from the coordinating Tree Trimmings die set. There are so many ways to use both of these sets! The mix and match possibilities almost feels endless! I placed the tree in some snow drifts cut from the Stitched Scene Builders Edgers dies and then finished it off with the beautiful Ornate Joy die. I'm entering this card in the CAS-ual Friday's challenge to make a Christmas card. 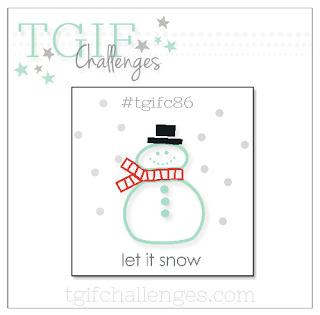 I'm also entering it in the TGIF challenge to use snow on your card. 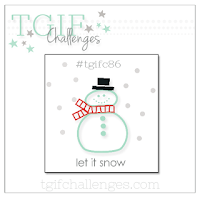 And lastly, I'm also linking up to SSS Monday Challenge to use snow on your card. Lil' Inkers is offering a BIG prize this release! The ENTIRE New Release to one commenter! 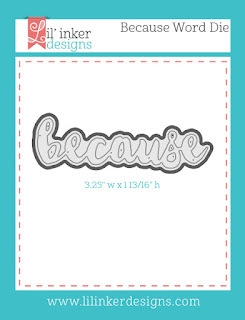 To be eligible you must leave a comment on each Design Team blog each day of the 3 day release. 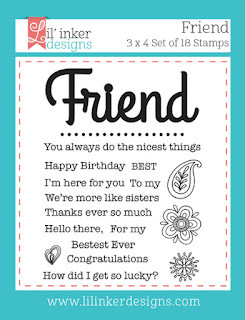 For my last card for this release I made my background by stamping the images in the new Friend Stamp Set repeatedly. 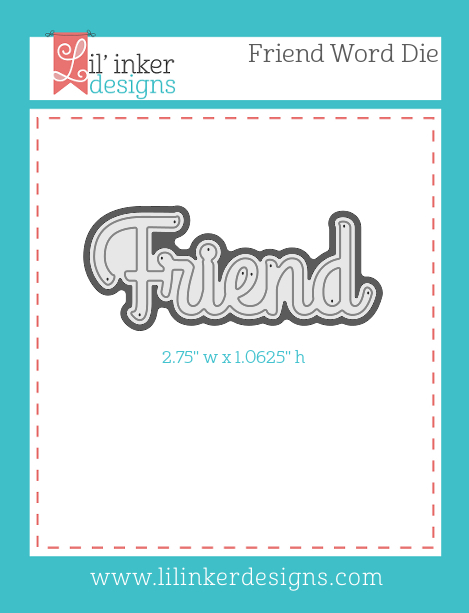 I die cut the Friend Word Die and then stamped a sentiment & dotted line also from the Friend Stamp Set on a label die cut from the Pinking Edge Sentiment Flag Die set. Thank you so much for visiting this week! Don't forget to leave a comment to win. The more blogs you comment on, the better your chances are of winning! All of the Lil' Inker products that I've used are linked above & are available at the Lil' Inker Designs store now! Your next stop on the hop is over to Jessica Frost-Ballas' blog. 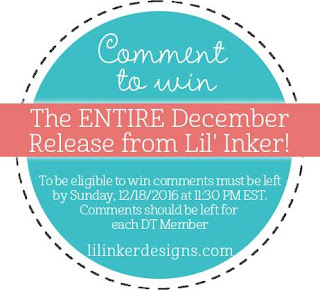 There is a big prize up for grabs for one lucky commenter, the entire December release! To be eligible you must leave a comment on each Design Team blog each day of the 3 day release. 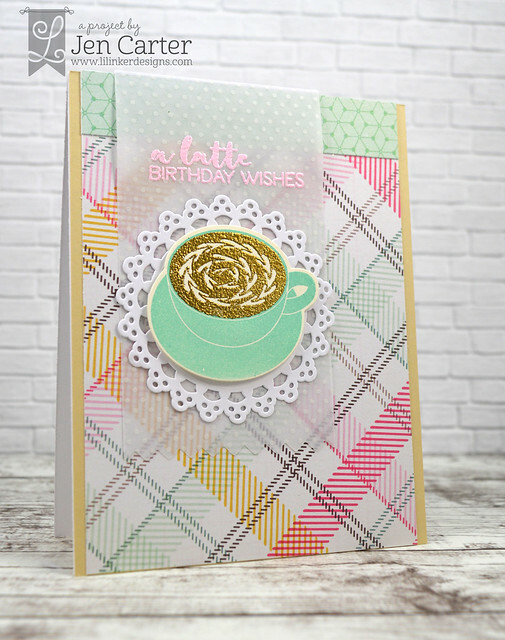 Up first today is a card using several new products including a new cover plate die that you'll get all knotted up over! :) You can see it featured on the gray mat. Isn't it a fun pattern? It is the Quilted Stitched So Knotty die. 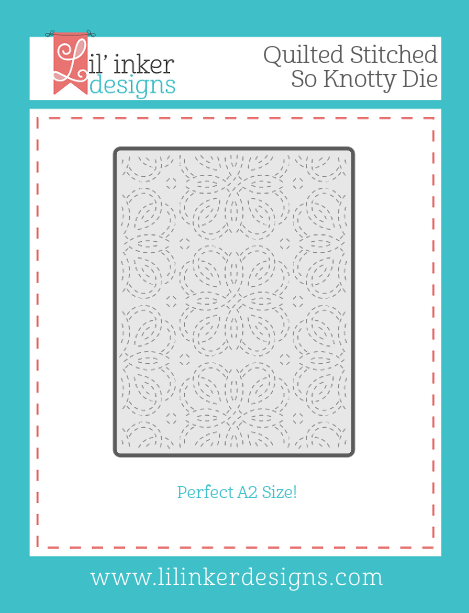 I LOVE all of the quilted stitched cover dies! (You can see them all here.) For the top layer I die cut one of the Wonky Rectangle Dies and then embossed the leaf image from the new Because Stamp Set in white. I used my zig real brush pens to watercolor around the leaves. 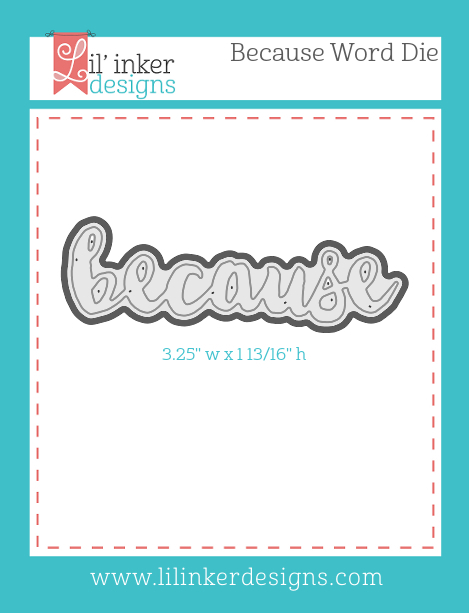 I die cut the Because Word Die & then stamped the coordinating sentiment from the Because Stamp Set. 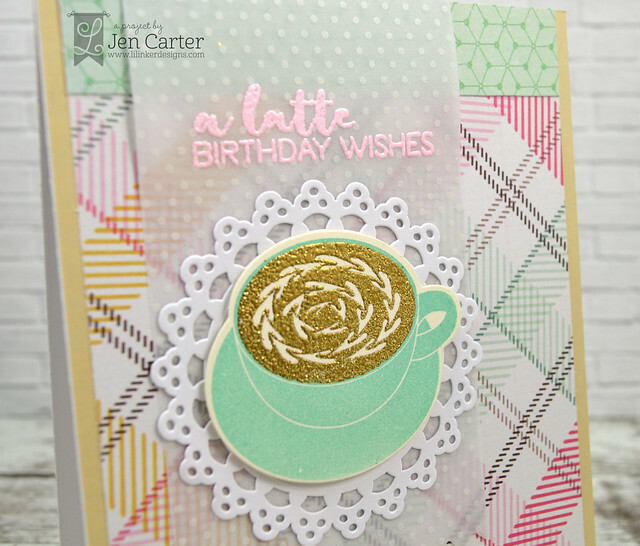 This card you may have already seen for the Winter Coffee Lovers Blog Hop but just in case you missed it, I wanted to share it again. This is such a great new coffee set! 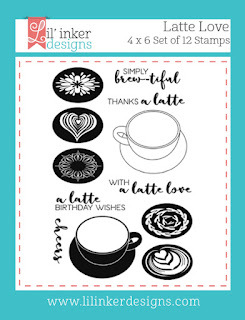 The stamps I used are called Latte Love & there are coordinating dies called Latte Love Dies. I started by stamping the mug & saucer in mint ink. Then, I stamped the coffee inside the cup with a gold glittery embossing powder, why not right? :) The sentiment is also from the Latte Love stamp set. I'm really loving that font! 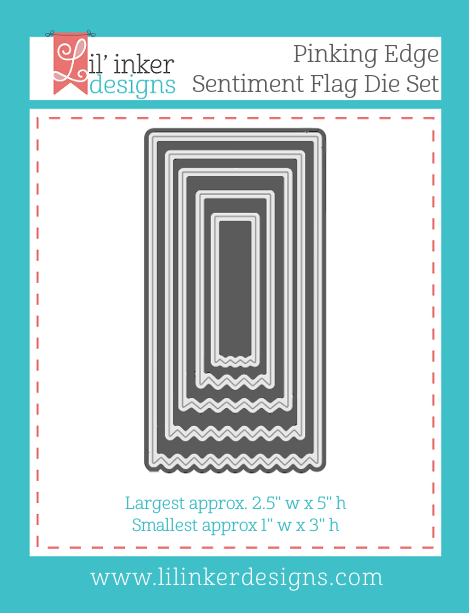 I layered all of that on to a tag I die cut with the Pinking Edge Sentiment Flag Die Set. Here you can see the embossing on the coffee in a little more detail. Isn't this new stamp & die set so fun?! Don't forget to leave a comment for a chance to win a gift certificate!! Hello! 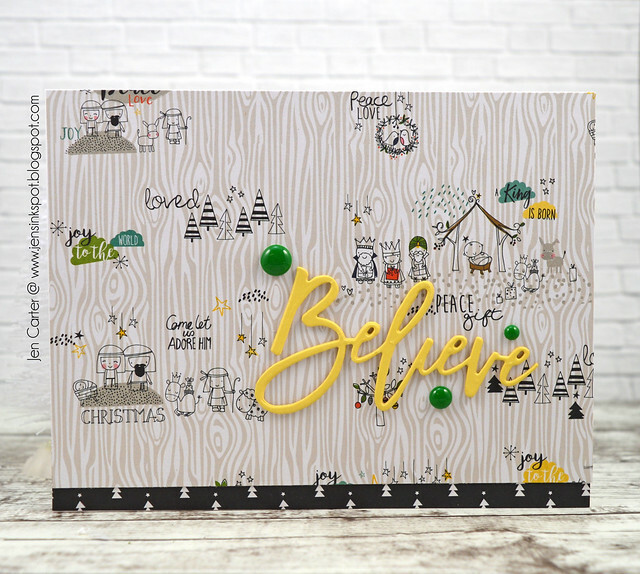 It's time for the Lil' Inker Designs Christmas release! The new products are already available in the Lil' Inker Designs store! 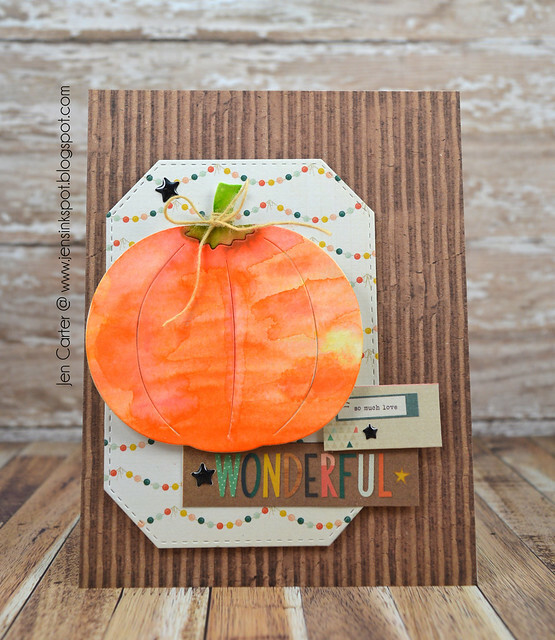 If you are following along in the blog hop you should have come from Heather Hoffman's Blog! 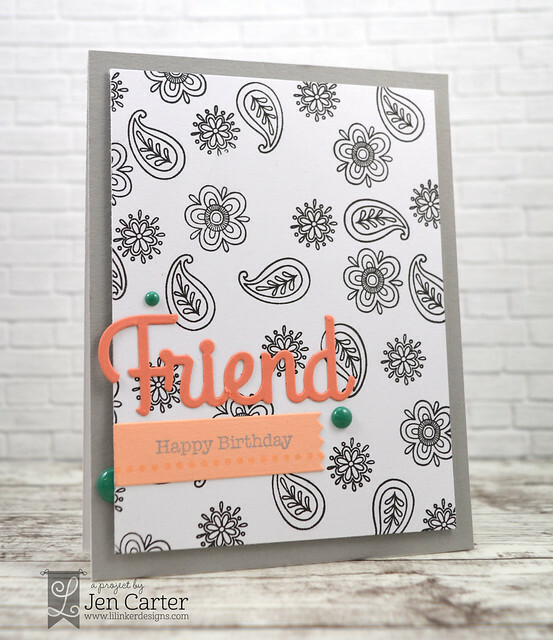 For this card I used the gorgeous new Corner Adorner Stamp Set. This set is beautiful colored but I decided to try something a little different with it. 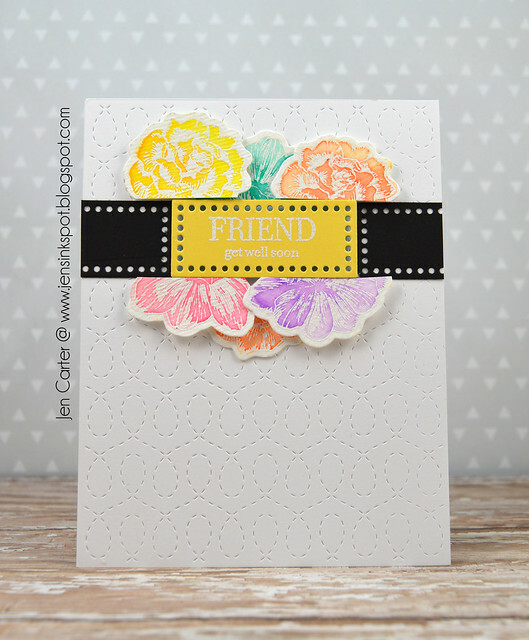 I went with an ombre embossed looked! 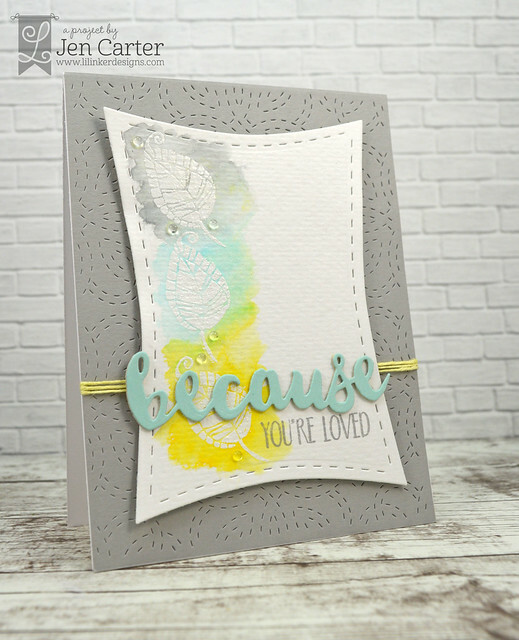 I started by embossing the bottom in white, then moved up to a light aqua and then last I used a darker turquoise. I also embossed the sentiment in gold. 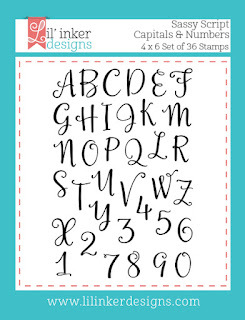 The YOU if from a new stamp set I think you'll love called Sassy Script Capitals & Numbers Stamps. 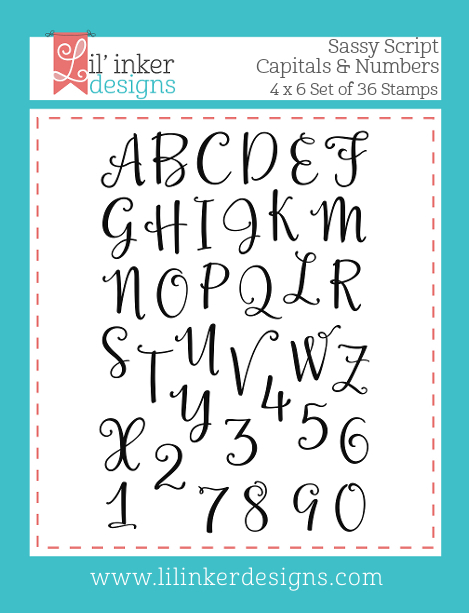 This is a follow up set to the very popular Sassy Script Stamps. Both sets mix and match wonderfully together! 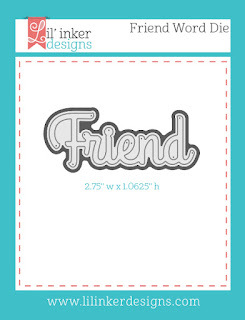 I also used another new stamp set called Friend for the smaller part of the sentiment. 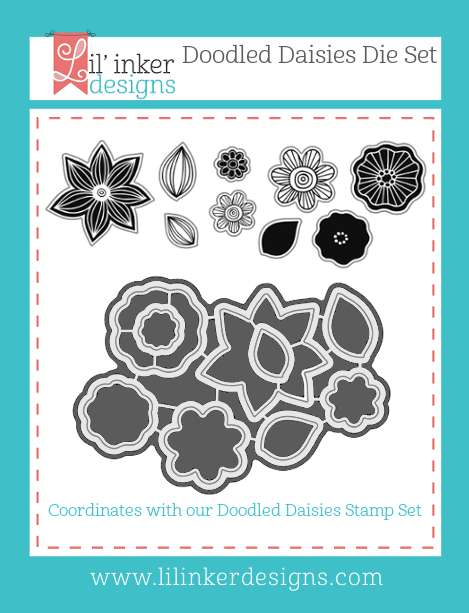 The flowers are stamped & die cut with the Doodled Daisies Stamps & Dies. 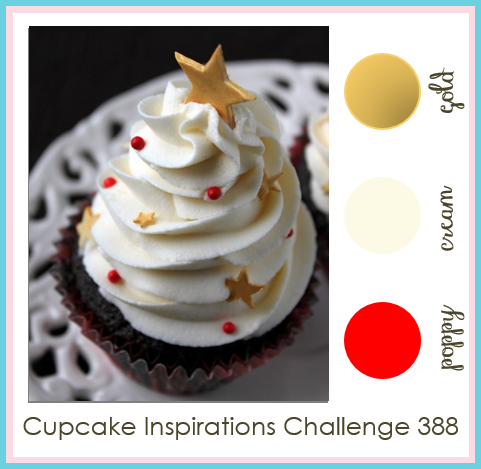 Welcome to the next Cupcake Inspirations Challenge #388! This week the challenge is to use the provided color scheme (shown below) on your card or project. 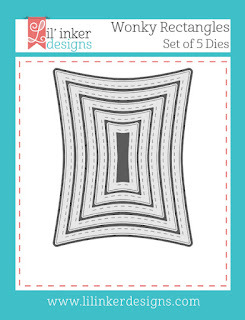 Our sponsor this week and the prize is from Craft Classes Online. All of the details, including prize information, can be found on the Cupcakes Inspiration blog. I hope you'll play along! For this card I kept it simple! 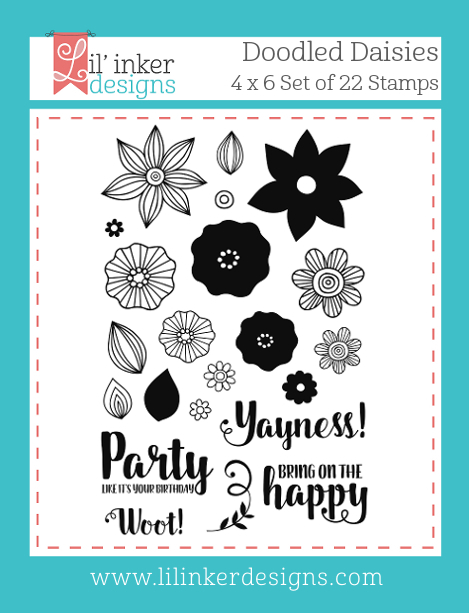 I used PTI's Good Times Stamp Set for the confetti. 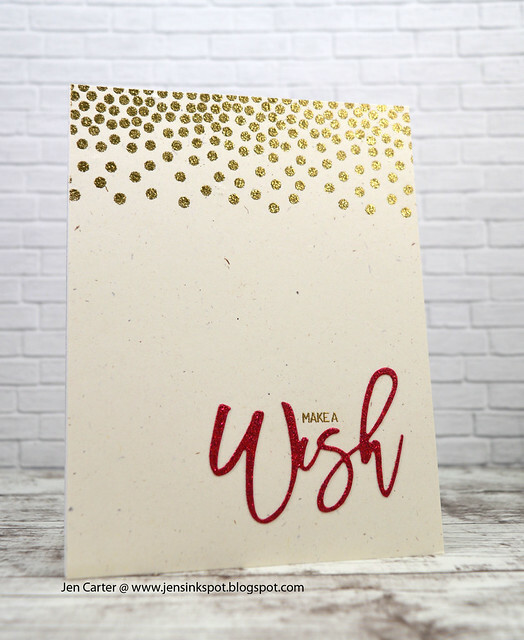 The beautiful wish die is from Lil' Inker Designs and is from a set called Brush Script Christmas Word Dies but they can be used for so much more than Christmas! 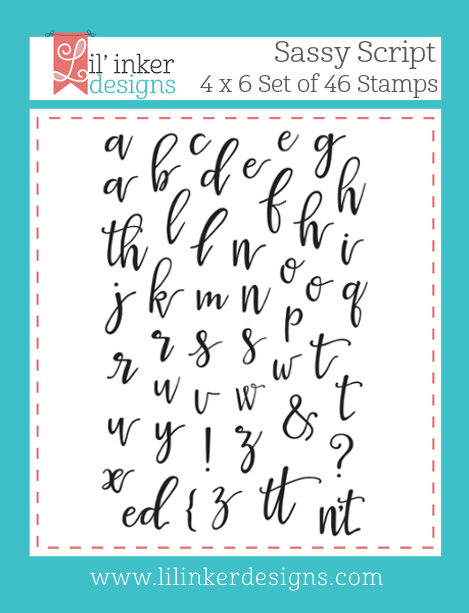 The tiny "make a" is from a stamp set called Unscramble This. The color scheme this week is a beauty! I hope you'll join us this week for the Cupcake Inspirations Challenge #388! Thanks for stopping by! Winter Coffee Lovers Blog Hop & a Special! Today I am joining in on the Winter Coffee Lovers Blog Hop! It is COLD and snowy here today so a nice hot White Peppermint Mocha sounds so YUMMY right about now! 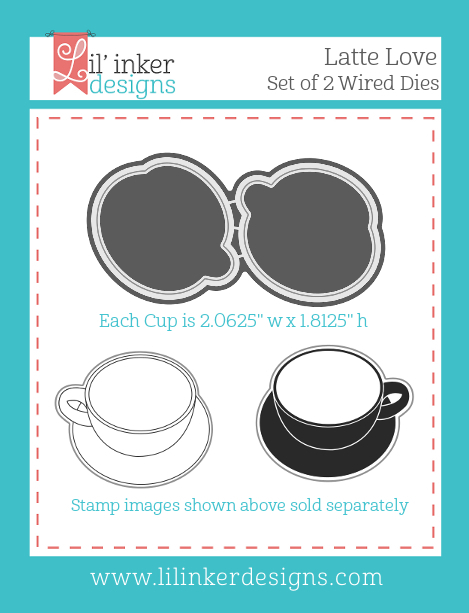 Lil' Inker Designs has released a NEW coffee & die set TODAY and you can get free shipping on it through December 10th too! Details on that are below! For my card today I am sharing a sneak peek of a new Lil' Inker Designs set that is available to purchase starting right now! :) The stamps I used are called Latte Love & there are coordinating dies called Latte Love Dies. I went with a plaid and winter color scheme for my card. I started by stamping the mug & saucer in mint ink. Then, I stamped the coffee inside the cup with a gold glittery embossing powder, why not right? 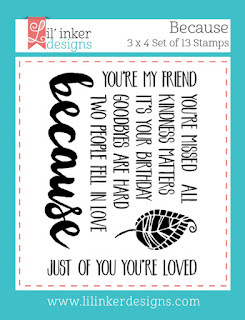 :) The sentiment is also from the Latte Love stamp set. I'm really loving that font! 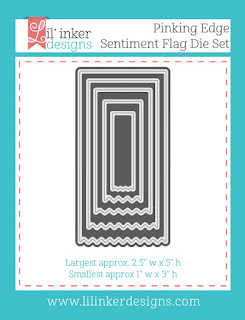 I layered all of that on to a tag I die cut with the Pinking Edge Sentiment Flag Die Set. Now for the special! December 9th & 10th you can get FREE shipping if you purchase the Latte Love dies & stamps! Just use code FREECOFFEE at checkout! To see all of the participants in the Winter Coffee Lovers blog hop, click here! Hey everyone! Are you in the Christmas mood yet? Today's card features a fun little die from Frantic Stamper that lets you create adorable Gingerbread Houses without all of the sticky mess! 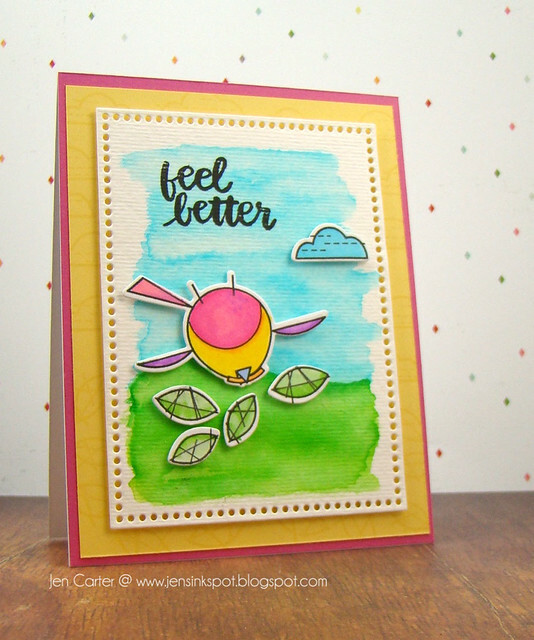 :) I used the Little Gingerbread House die to create the house in fun candy colors. The hill was created with the stitched Scene Builder Edger Die that I use all of the time! I also used one of the snowflakes dies from the Snowflake Trio die set. 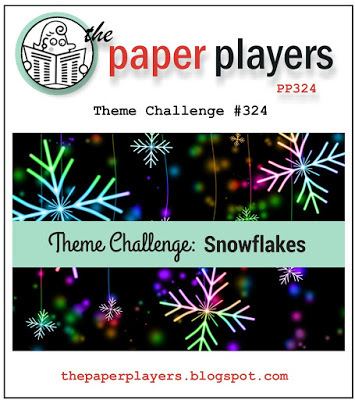 I am entering this in the Paper Players challenge to use snowflakes.